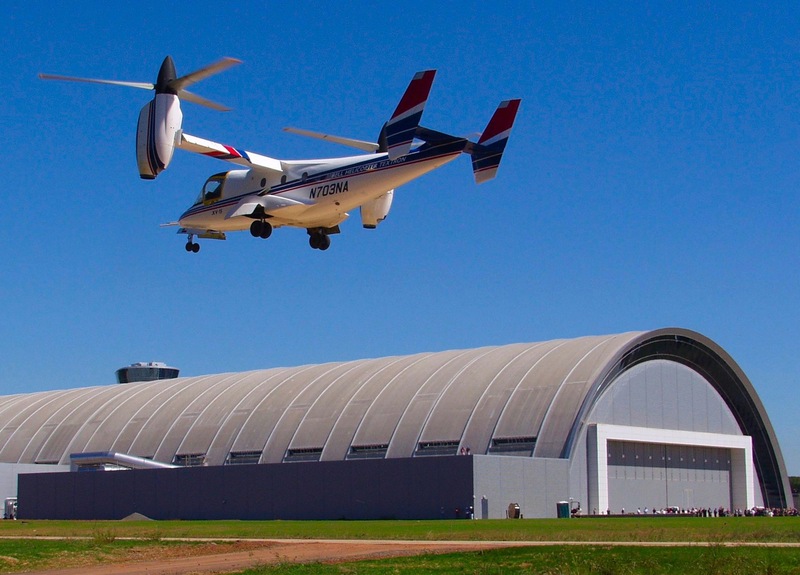 Over twenty years after they began work on the XV-3, Bell received a contract to begin work on their 13,000 lb Research Tilt Rotor aircraft, which was designated XV-15. The 42 ft fuselage housed side-by-side pilot seats. At each tip of the 35 ft span wings, a 1,550 shp Lycoming T53-LTC1K-4K turboshaft engine powered a 25 ft diameter three-bladed rotor. 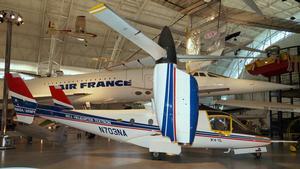 The engines and rotors tilted through 90° and were cross-linked in the event of engine failure. The rotors were semi-rigid stainless steel with a high twist and no flapping hinges. Control at low speeds was by cyclic and collective blade angle adjustments. 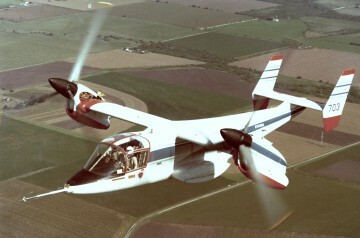 The first hover of the joint Army/NASA XV-15 was performed on 3 May 1977. 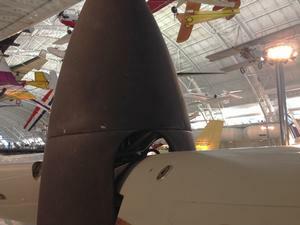 The first aircraft was later tested extensively in the wind tunnel. 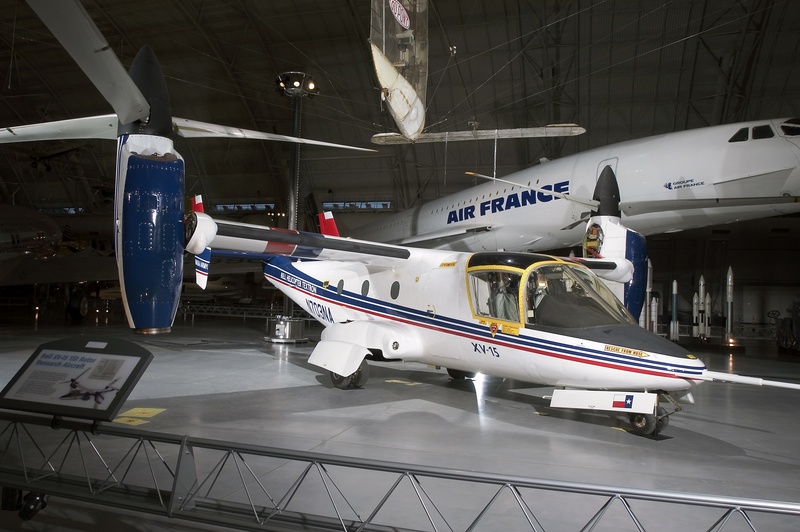 Aircraft number two made its first hover on 23 April 1979. 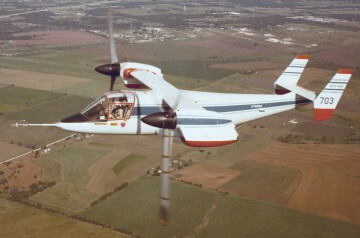 It made the first conversion to horizontal flight on 24 July 1979. In the next several years, the XV-15 conducted extensive tests, shipboard landings, and achieved a maximum speed (in a dive) of 397 mph. 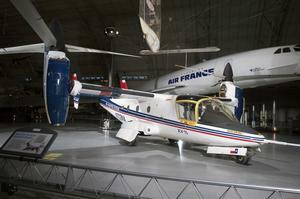 By 1986, it had made 1,500 conversions in 530 flight hours. The aircraft was flight tested aboard the USS Wasp in 1990 to evaluate shipboard compatibility issues of the tilt rotor concept. Ship 2 is in the Smithsonian National Air and Space Museum (Udvar-Hazy Center). Resources related to the XV-15 TRRA, provided by the Vertical Flight Society. Resources related to the XV-15 TRRA, provided by public sources across the internet.